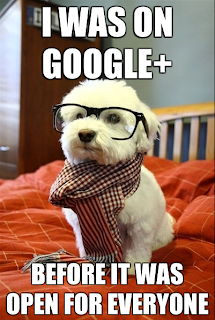 cryptonaut-in-exile: Hipster dog on Google+ (that I found on Google+) is so money. 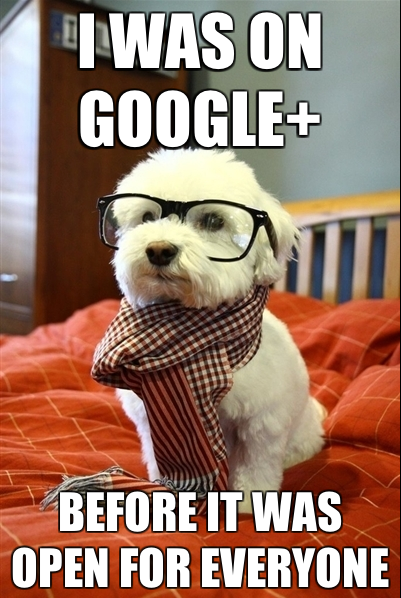 Hipster dog on Google+ (that I found on Google+) is so money. He got access through his friend who's in this band... you wouldn't have heard of them.